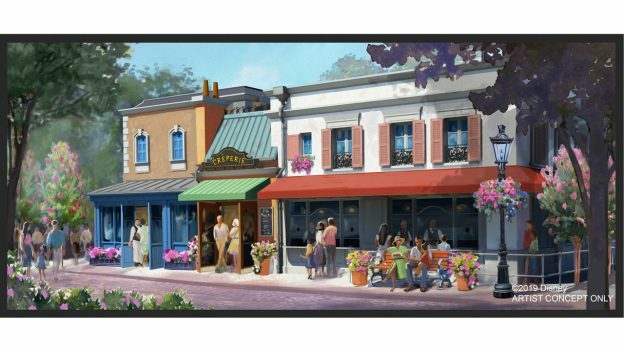 Today, it was shared that a brand new crêperie will be added to the France Pavilion in Epcot’s World Showcase. The menu will be inspired by the Brittany region of France and the new location will offer both table service dining as well as a quick-service stop for guests craving savory crepes called galettes, as well as those looking for sweet crepes. This new eatery will be brought to life by celebrity chef Jérôme Bocuse, who has also brought us the pavilion’s dining establishments, Chefs de France and Monsieur Paul. The new crêperie will be located near the upcoming Remy’s Ratatouille Adventure. Stay tuned to the blog for more news about the name of the new establishment, as well as the opening season.